Raworths solicitor, Sarah Minors has become one of the youngest ever Presidents of Harrogate and District Law Society. Taking over from Andrew Meehan, Sarah has served on the Harrogate Law Society Committee for the last seven years and becomes the third solicitor from the Harrogate law firm, Raworths, to hold this office in the last four years. Current Raworths solicitors Deborah Boylan, William Kinread and Christopher Butterworth are also previous presidents. Sarah studied Law at the University of Manchester and completed her training contract with High Street firm Caldicotts in Leominster, Herefordshire. On qualification in 2003 she moved to specialist family solicitors Williscroft & Co in Bradford where she gained a strong reputation in dealing with emergency family applications as well as working on divorce, finance and children cases. She joined the Family Unit at Raworths in 2005 and quickly became a member of Resolution (formerly the Solicitors Family Law Association) which is a national organisation of family lawyers committed to non-confrontational divorce, separation and other family problems. Sarah achieved accreditation from the Law Society’s Family Law Scheme in 2011. Sarah now specialises in divorce, financial applications and children cases including emergency applications and inter-jurisdiction matters. 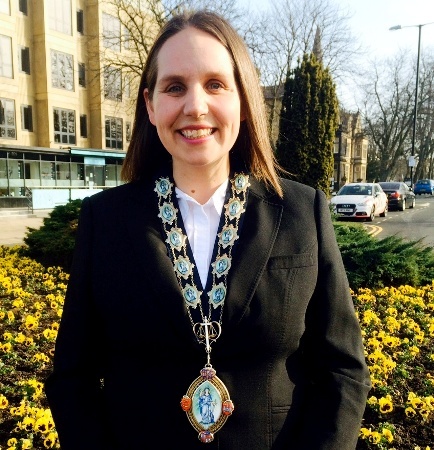 “During my term of office, I hope to be able to raise the profile of the Harrogate and District Law Society and, most importantly, to demonstrate its relevance to the community today. “With attitudes to the legal system in this country evolving and such a proliferation of alternatives to the conventional route of consulting a solicitor, my aim is to show the importance of the solicitor’s role in society.